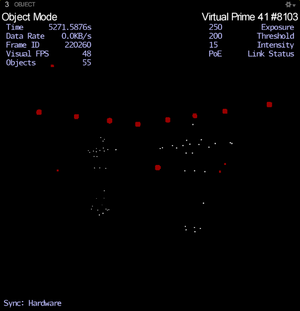 Using the 2D object data along with the camera calibration information, 3D data is computed. 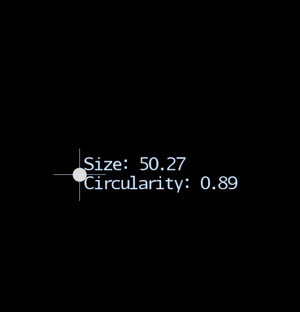 Extraneous reflections that fails to satisfy the 2D object filter settings (defined in 2D filter settings) are filtered out, and only the remaining reflections are processed. The process of converting 2D centroid locations into 3D coordinates is called Reconstruction, which will be covered in the later section of this page. Captured 2D data can be reconstructed either in real-time or after the capture. In post-processing, recorded 2D data can be used to create a fresh set of 3D data by Reconstructing the capture again, and the Reconstruction parameters will be reapplied and any existing 3D data will be overwritten. Motive can also live-process (live-reconstruct) incoming 2D images on a frame-to-frame basis and stream the 3D tracking data into external pipelines with extremely low processing latency. 3D data contains 3D coordinates of reconstructed markers, and from this, 3D motion tracking is accomplished. From captured 2D data, 3D markers are reconstructed and displayed in the perspective view and their trajectories can be monitored from the Graph View pane. 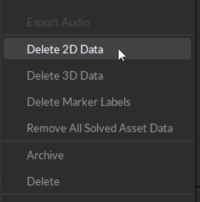 In recorded 3D data, marker labels can be assigned to reconstructed markers either through the auto-labeling process or by manually assigning it. From these labeled markers, Motive solves position and orientation of rigid bodies and skeletons. 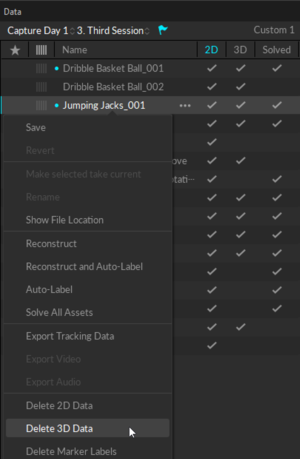 Recorded 3D data is editable. 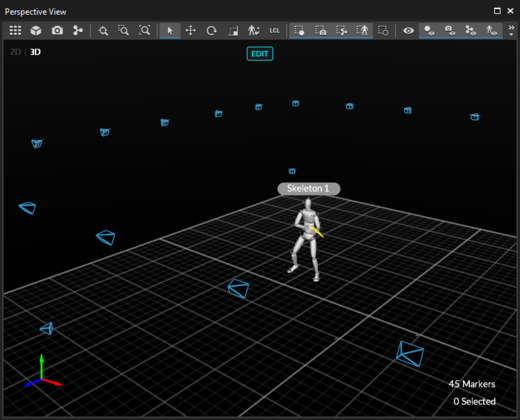 The edit tools can be used to interpolate the 3D marker trajectory gaps, and the labeling tools can be used to modify the labels. Lastly, from a recorded 3D data, its tracking data can be exported into various file formats — CSV, C3D, FBX, and more. 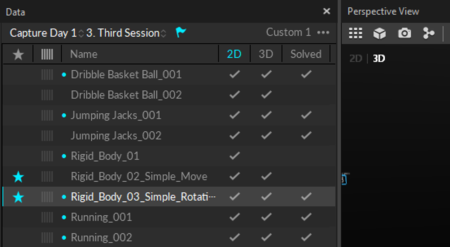 Solved data gets recorded onto a TAK file by default, but it can be reproduced from recorded 3D data in the Edit mode. Solved data stores tracking data of corresponding rigid body assets; specifically, 3D position and orientation data. When Solved data is not recorded or deleted, position and orientation of each asset are calculated in real-time from the recorded 3D data per frame basis. Once the solved data has been obtained, the tracking data of the assets are recorded within the Take and it will no longer be affected by the 3D data. 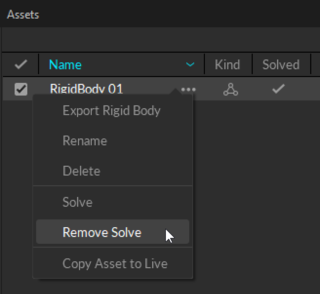 Using solved data can reduce rigid body solve latency, and once it is recorded, 3D data can be deleted to reduce the size of the Take file. This page was last modified on 12 October 2017, at 17:04.